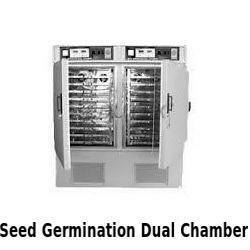 Pioneers in the industry, we offer plant growth chamber, vacuum dryers chamber, photostability chamber, walk in humidity chamber, seed germinator dual chamber and seed germination dual chamber from India. The cooling kit includes hermetically sealed compressor, fan motor, condenser etc. 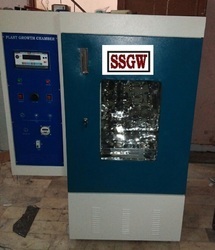 We are offering our customers with Seed Germinator Dual Chamber with 3 step voltage stabilizer. These products are manufactured using superior quality raw-material and steel used for water reservoir at the bottom, procured from the most reliable vendors in business. 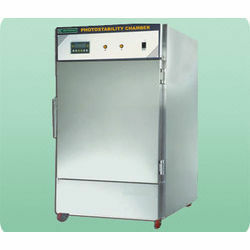 They precisely design these chambers in line with the defined parameters of the industry. 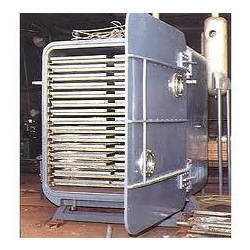 Moreover, we are able to provide these products in various specifications as the requirements of our valued clients. 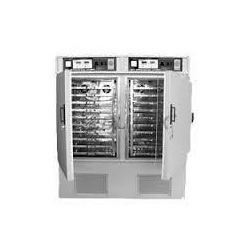 Temperature range 5ºC to 50ºC in one chamber. In the other chamber temperature range from few deg. above ambient temperature to 50ºC. Temperature controlled by hydraulic type thermostat in the variation of + 1ºC. with temperature indicator. Each chamber has 14 trays. Each chamber has stainless steel water reservoir at bottom. Humidity from 90% to 95% + 3 % (not adjustable) Double-walled inside made of anodized Aluminum and outside Mild Steel painted in epoxy powder coating insulation between the two walls is done by puff to work on 220/230 volts 50 cycles A.C. only with electronic digital voltmeter in Digital Model. Most suitable for conducting various experiments on a variety of seeds under diferent conditions of temperature and humidity. Atmospheric conditions are created within the chamber to perform different experiments without going into field. The double walled unit has inner chamber and trays made of SS Sheet and outer chamber of MS Sheet duly eopxy powder coated. The gap between the outer and inner wall is filled with PUF insulation to prevent thermal losses. Air circulation fas is fitted at the back of the inner chamber for maintaing emperature uniformity. 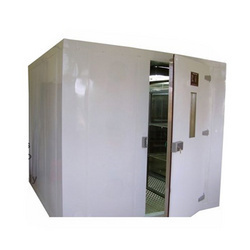 The Double walled door is fitted with transparent see through window to facilitate viewing inside chamber without disturbing the inner temperature. The door also has magnetic synthetic rubber gasket and lock & key arangement.